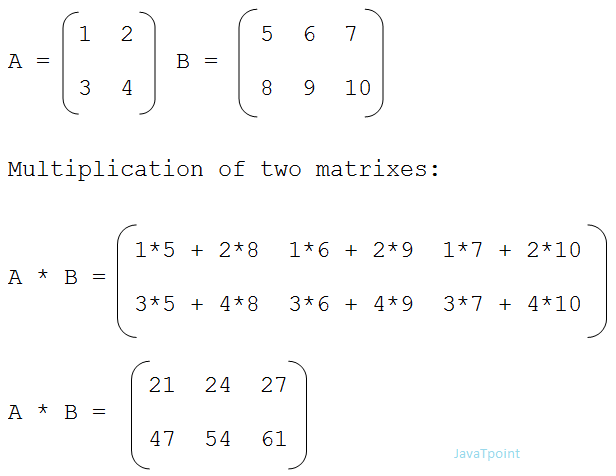 Matrix multiplication in C: We can add, subtract, multiply and divide 2 matrices. To do so, we are taking input from the user for row number, column number, first matrix elements and second matrix elements. Then we are performing multiplication on the matrices entered by the user. In matrix multiplication first matrix one row element is multiplied by second matrix all column elements. Let's see the program of matrix multiplication in C.